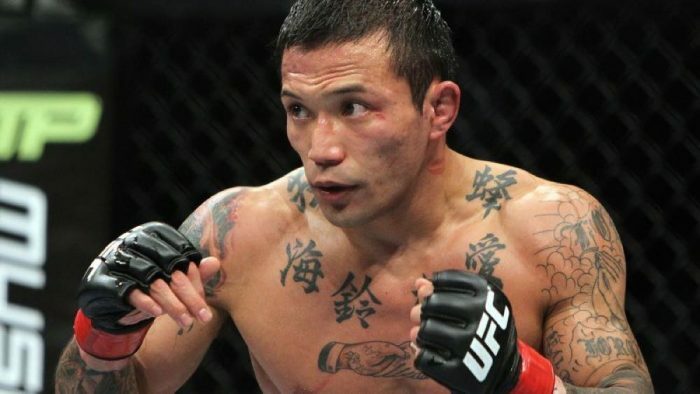 A legend of the Japanese fight scene, Norifumi "Kid" Yamamoto has died at the age of 41 after a brief battle with cancer. A legend of the Japanese fight scene, Norifumi “Kid” Yamamoto has died at the age of 41 after a brief battle with cancer. Yamamoto’s team Krazy Bee revealed the tragic news late Monday night. It was just in late August when Yamamoto revealed that he had been diagnosed with cancer as he was undergoing treatment. Yamamoto came to prominence in mixed martial arts while competing in his native Japan in the mid-2000’s after competing in SHOOTO before eventually transitioning into the K-1 Hero’s promotion. It was there where Yamamoto’s legend grew as he started tearing through the competition with an incredible 11 fight win streak in the promotion with only one decision victory amongst a long list of knockouts and submissions added to his resume. During that dominant run, Yamamoto earned victories over the likes of Bibiano Fernandes, Caol Uno, Royler Gracie and Genki Sudo. He also picked up a stunning four-second knockout with a flying knee against Kazuyuki Miyata that still stands as one of the fastest finishes in mixed martial arts history. While he was still in the prime of his career, Yamamoto actually took nearly two years off from the sport to pursue his dream to represent Japan in wrestling at the Olympics. While it looked like he might reach his goal, Yamamoto ended up suffering an injury that cost him the chance to advance further in the qualifying tournament. Yamamoto eventually returned to MMA but never quite found the same level of success. He did make his way to the UFC in 2011 where he had four fights including a battle against former UFC flyweight champion Demetrious Johnson. Yamamoto’s final fight came in 2015 when he returned from a three year hiatus from the sport due to various injuries that had plagued his career. Yamamoto ended his career with an impressive 18-6 record including two no contests. The entire MMA world mourned Yamamoto’s death including several fighters and UFC president Dana White paying tribute to him after the news was released. The world lost a true warrior today – Rest In Peace “Kid” Yamamoto.